It’s funny how sometimes our finances seem fine and then suddenly there is a huge emergency and we realize that we don’t have enough money saved to cover the added expense. Or we go along on our merry way thinking that we are making a lot of money and therefore we can spend it on whatever we want, only to suddenly realize that we are actually living pay check to pay check, or worse yet, we are barely able to pay our bills on time. 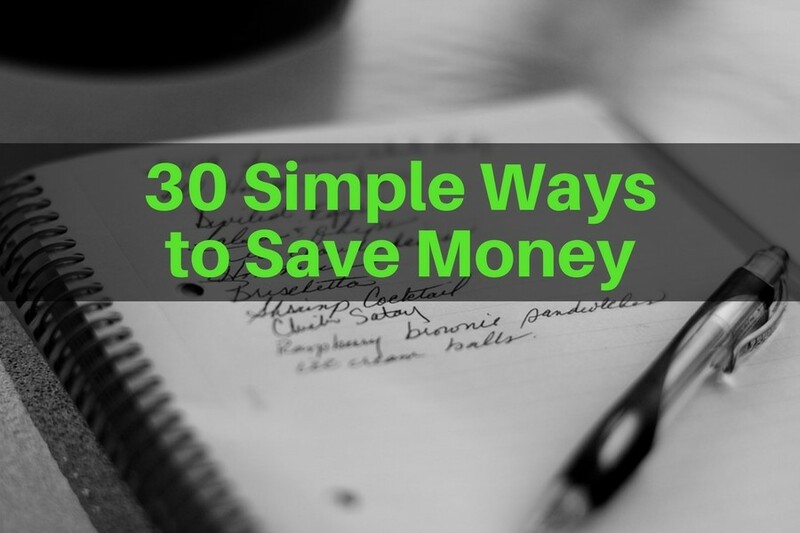 If you suddenly find yourself in a situation like this here are 30 simple ways to save money throughout the year. 1. Use coupons when buying groceries, cleaning supplies and bathroom products. 2. Make lunches and dinners that are cheap and easy to make. Every dinner does not need to be as elaborate as Thanksgiving dinner. 3. If at all possible, grow your own produce. 4. Carpool or use public transportation as often as possible. 5. Always bring your lunch to work. 6. Wash your car at home instead of going through the car wash.
7. Use reward cards when buying groceries and gasoline. 8. 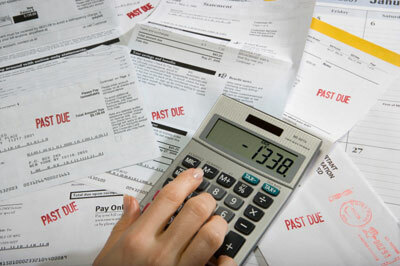 Avoid late fees and interest charges by paying your bills on time. 9. Head to the library and borrow books and magazines instead of buying them. 10. Shop for clothes towards the end of each season while it is on sale. 11. Watch for clearance days at your local shopping mall. You’ll be amazed at how much you will save. 12. Never shop without a list. That goes for groceries and clothes. 13. When you need groceries (especially canned goods) and household supplies, always check out Dollarama first. 14. Use linen napkins instead of paper napkins or paper towels. That way you simply use them, wash them, and use them again. 15. Only run the dishwasher and the laundry machine when you have full loads. 16. When adding detergent to the dishwasher or laundry machine, cut the amount you normally use in half. 17. Do a fun movie night at home instead of paying to go to the theatre. 18. Cook large batch meals on your day off and freeze the meals. This allows you to buy the ingredients in bulk and save money. 19. Make Friday night in your home a fun food night. Instead of going out for pizza and nachos, make them at home and let everyone pitch in. This could also be a fun date night idea for the two of you. 20. Buy a programmable thermostat so that you can easily control the furnace and air conditioner in your home. If no one is home during the day, it doesn’t really need to turn on and off all day. You can set it to turn on 15 minutes before you normally get home. 21. Reduce your electrical bill by using energy efficient light bulbs everywhere in your house. 22. Whenever possible, walk instead of drive. Can you walk to the corner store when you need more milk? Can you walk the kids to school in the morning instead of driving them? 23. Shop for Christmas and birthday gifts throughout the year, when you see a good sale. 24. Bake cookies, muffins and cupcakes at home instead of paying three or four dollars for a cupcake at the local cafe. 25. Make your coffee or tea at home and take it along in the car with you in a thermos travel mug. 26. Before you hire a babysitter see if you can trade babysitting with a good friend. Your friend may need someone to watch her children in the afternoon when the kids come home from school before she gets home from work. And you may need someone in the evening when you go to work for a few hours, or go out to run some errands. 27. Instead of going out for drinks on Friday night after work, invite the gang back to your place. Let everyone bring something and have fun at home. 28. Plan a local staycation instead of flying overseas or to a resort for your holidays. 29. Invite a few gals over and do a home spa night party instead of paying the high prices at a local spa. Perhaps one of your friends is good at doing manicures and another one knows how to dye hair and do highlights. 30. Have a ladies clothing swap several times a year. Invite a few friends over and ask each one of them to bring a few friends. Each person brings clean clothing items that she no longer likes but are still in excellent condition, and you can swap clothes. Many people will look at this list and think, instead of doing all that, why not just make more money. But sometimes making more money isn’t all that easy. We need to keep in mind that everyone’s situation is different and in some cases saving money is easier than making more money. As well, sometimes we are paying way more than we need to for insurance. Take a look at your life insurance and health insurance policies to see if there is any way for you to reduce the amount of money that those are currently costing you. Saving money isn’t as difficult as it sounds. When times are tough, the trick to surviving is to become creative and to challenge yourself to stretch each dollar as far as you can. And even once you get back on your feet financially, practicing these money saving tips will allow you to put extra money towards your savings account, retirement account and vacation account.